Kokopelli, the Native American fertility deity, is well-known as a fun-loving flute connoisseur. 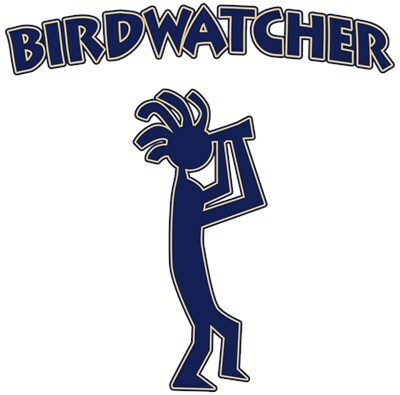 But did you also know he is an avid birdwatcher? This fun design based on the iconic Southwestern Native American figure makes a great gift for any birder! To order by phone, call toll-free at 1-877-809-1659 from Monday - Saturday 9:00am - 9:00pm EST. You'll need to note the Product Number 030-1317111399 to make your order.